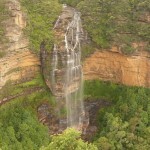 Winifred falls is one of the better waterfalls in the Royal National Park. At only a 2km return journey you can take the kids along on this one. There is a steep section when approaching Winifred Falls which has giving the track a medium difficulty rating. You can get down underneath the waterfall and let it pour over your head. Though when there’s been a bit of rain about the pool at the bottom gets too full to do this. 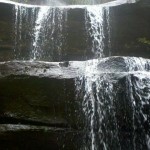 The photo’s in the gallery are from going to Winifred Falls after a lot of rain. If your keen there is a goat track that takes you down to the South West Arms pools. I often Kayak down to that point and walk up to Winifred Falls. This section is in the hard basket and the track if you can call it that can be hard to find. It’s on the Audley side of the falls. 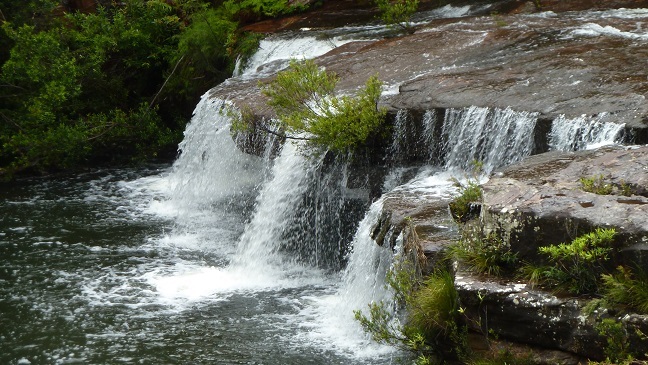 If you walk another few kilometers along the Winifred Falls Fire trail you’ll come to Anice Falls. The track leading out from Winifred towards Anice Falls is very steep and that little section would have a rating of hard. But after that the track is excellent and very scenic. Anice Falls looks good but I couldn’t see a way to get do to the bottom for a better look. If you could the views would be great from down there. Google Map Link. 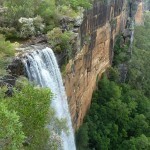 There are a few ways to get to Winifred Falls in the Royal National Park. Below are the directions for the most basic way. The trail head from this point is only 3km return walk. – Heading along Sir Bertram Stevens Drive, go past Audley visitors centre. – Only a short distance from the turn you’ll come across the Winifred Fire Trail. Google Map Link. You can also walk to Winifred Falls from the other direction. – Take the Bundeena Drive turn off. – Stop at Mount Bass Fire Trail. – Walk down Mount Bass Fire Trail. At the end you’ll see a sign saying Winifred Falls. Google Map Link. You can also walk to Winifred Falls in the other direction.